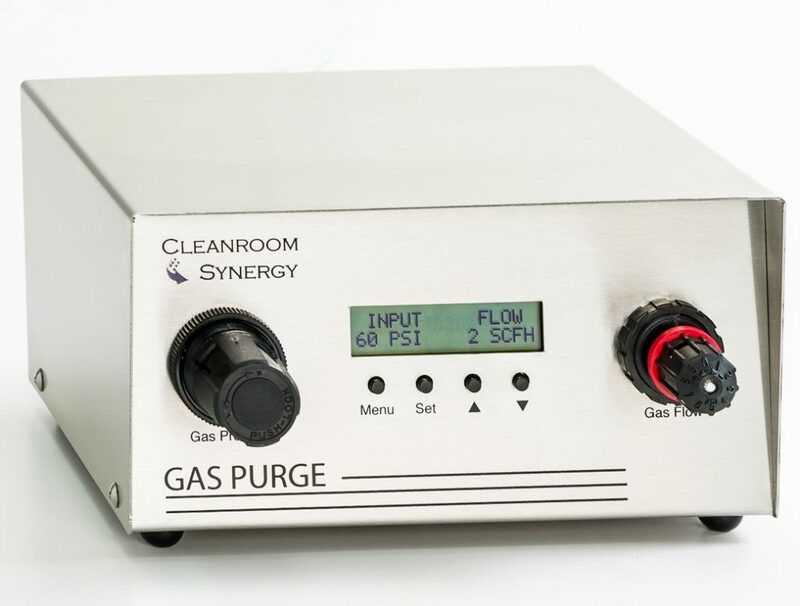 The Gas Purge™ Controller monitors and regulates the dry gas that will flow into the desiccator when it is needed to lower the R/H or when a chamber door is opened. It has a gas regulator to control the pressure of the incoming gas and electronic flow meter that regulates and maintains the low flow of gas. Also provides audible/visual warnings when the supply gas is getting low, a desiccator door has been left opened or if the R/H set point has not been reached. 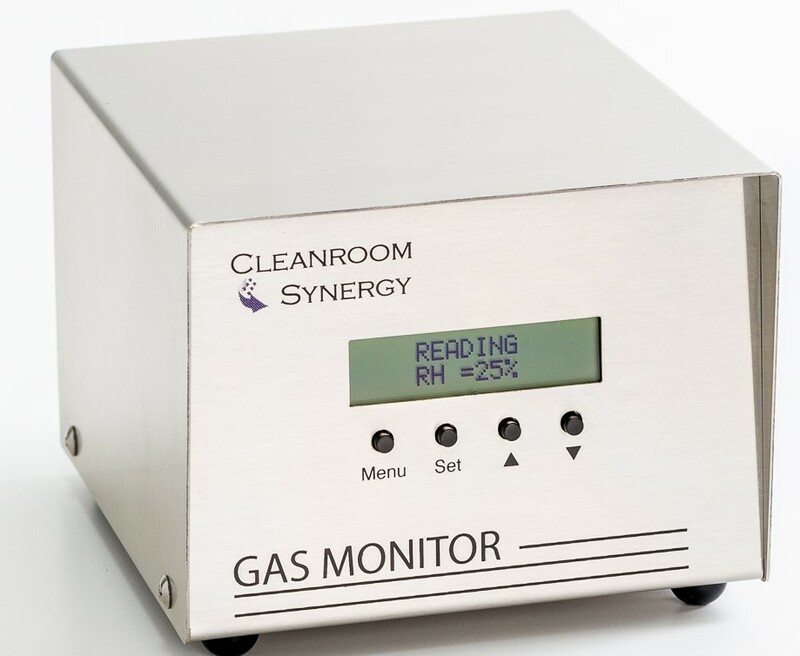 The Gas Monitor™ controller measures the R/H of the chamber which contains the Gas Sensor. It has provisions to enter a desired R/H set point and will issue a command to the Gas Purge™ controller to lower the desiccator cabinet’s humidity level whenever it senses a reading above the R/H set point. It also monitors the open and closed positions of the desiccator doors and issues a command to the Gas Purge™ controller to introduce dry gas at a high flow rate while the door is opened and for a preset time after the door is closed (factory set at 60 seconds). For actual control of the humidity level, the Sonic Humidifier™ must be used in conjunction with the Gas Purge™ and Gas Monitor™ control systems.